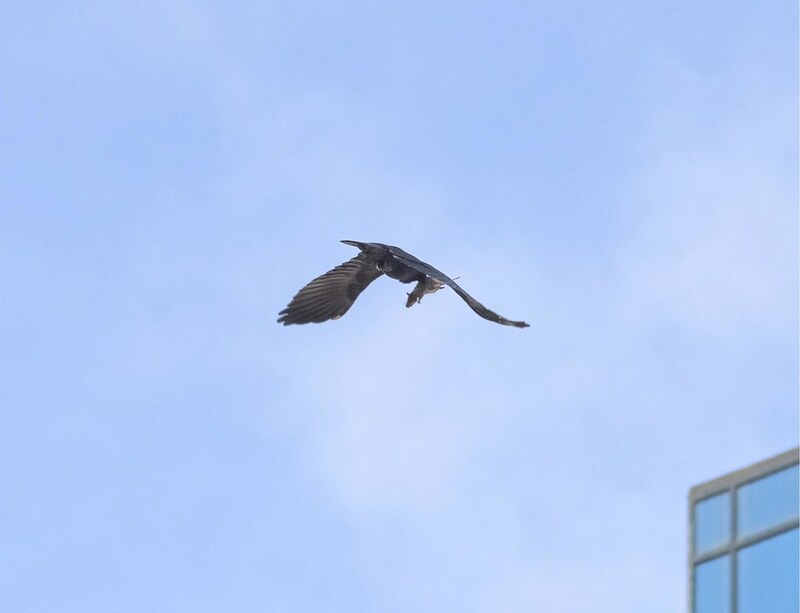 I was crossing Delancey on Saturday when I looked up and saw something odd. 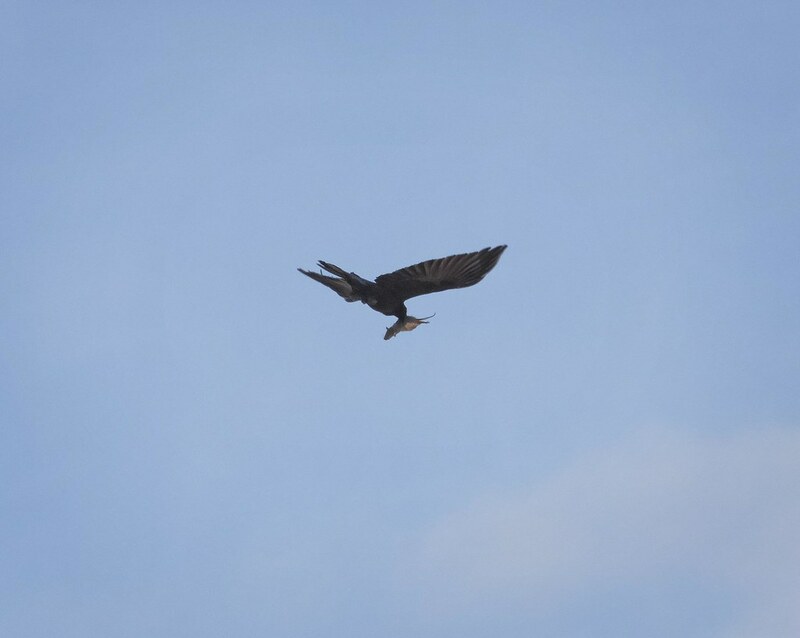 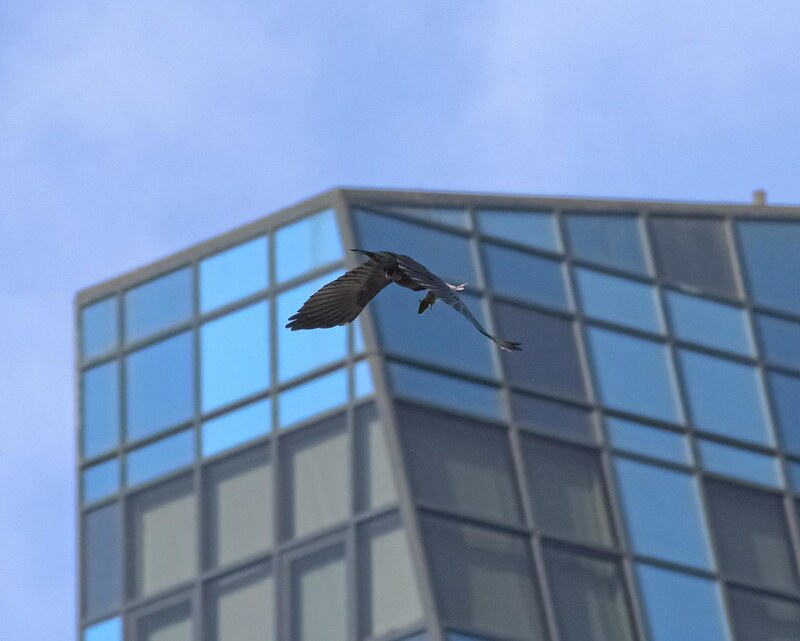 A crow flying with a rat in its beak! 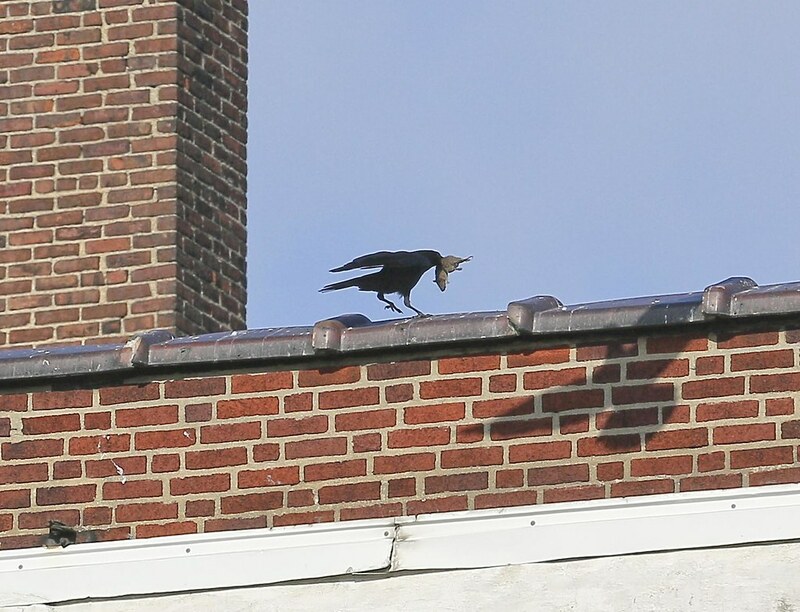 The rat was not alive, so I presume the crow scavenged it from the south side of the street where there is a large open construction site for the SPURA development. 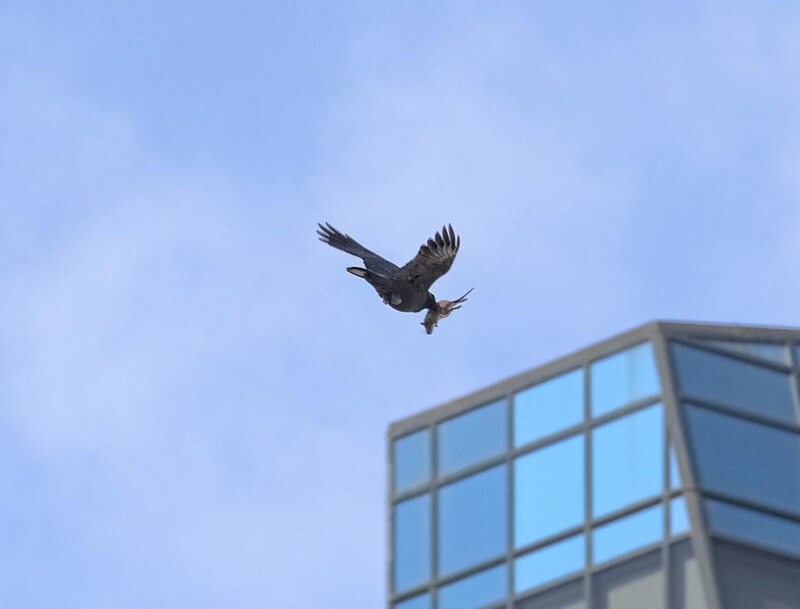 The crow took its prize to the top of a building at Suffolk Street, directly above Burger King. 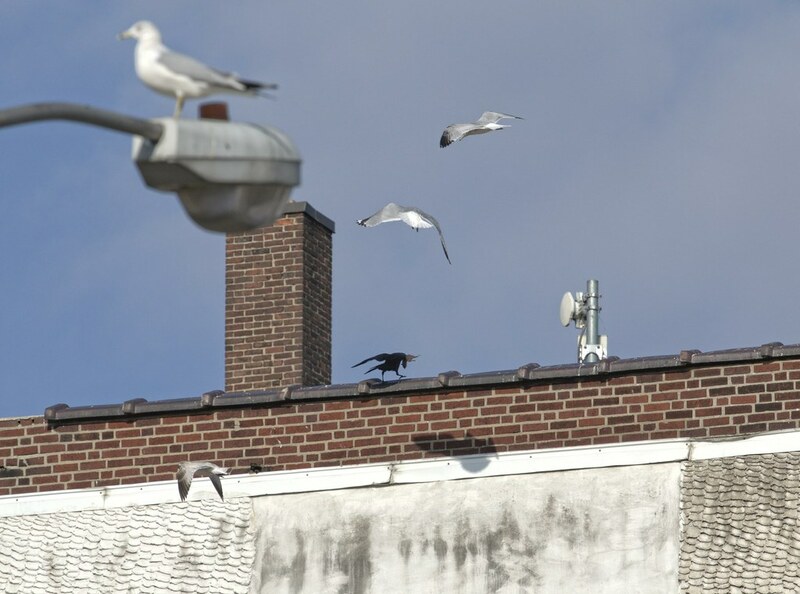 The crow took the rat behind the edge of the roof, so I wasn't able to see what happened next.